This handcrafted, Spanish colonial style dresser has a unique design created by Jorge Kurczyn. The dresser is built with a hand carved wood design that gives the dresser an aged and antique look. 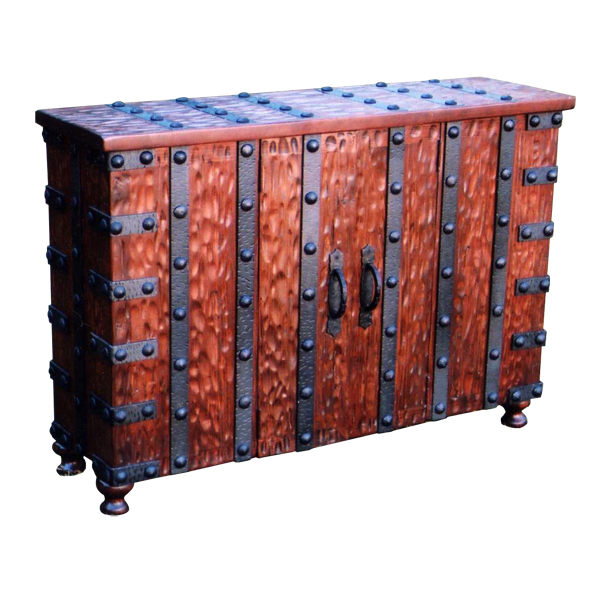 It is embellished on all sides with long, vertical and short, horizontal, iron belts, and the iron belts are adorned with hand forged, wide, iron nails. 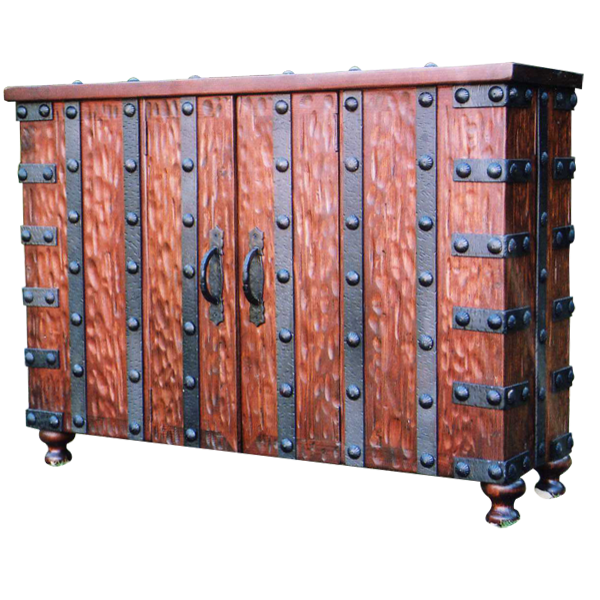 There are two, large doors on the front of the dresser, and each door is adorned with a hand forged, Spanish colonial style, iron handle. The inside area of the dresser can be custom designed with various shelving options to maximize storage. The dresser rest on hand turned feet, and it is made with the best, sustainable, solid wood available. It is 100% customizable.